As part of Freedom Day this year, we hosted our fourth annual Brennan Financial Services Family Service Day this past Saturday. Each year we take this opportunity to work alongside friends and family, clients and colleagues, to sort and prepare meals for the North Texas Food Bank. 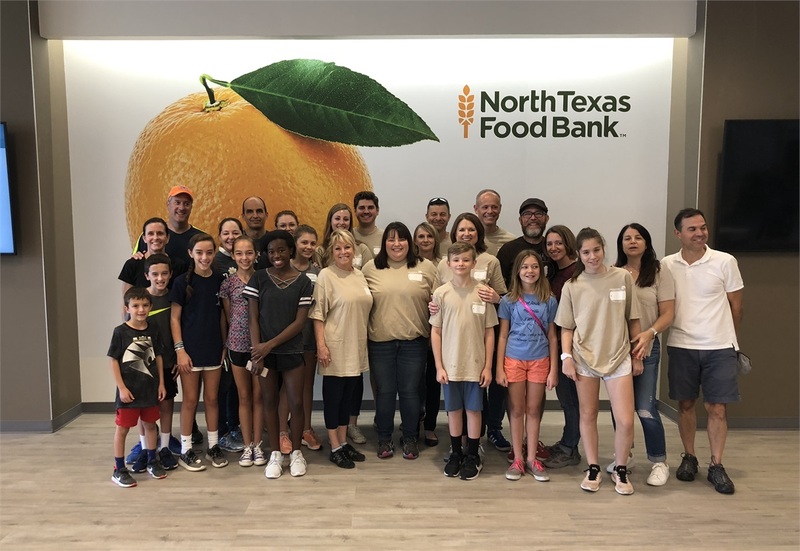 We were honored to serve on the first day that the new NTFB facility was open in Plano, sorting enough frozen meats for distribution to provide over 4,000 meals for our neighbors in North Texas that desperately need this assistance. Through our company, I get to work with individuals and families blessed with sufficient resources to balance many competing financial goals. The families that the North Texas Food Bank serves – and that we served on Saturday – are not so fortunate. After paying for rent and utilities, many parents are absolutely broke. No room for clothes, toys, or food, much less any emergency, without the kindness of strangers. While Dallas thankfully has dropped on the list of large cities with children living in poverty from #1 to #3, 30% of kids in Dallas still live below the poverty line (Dallas News). We are a city that brims with successful people and businesses, and yet also has a significant population of people that can’t earn wages high enough to pay for the most basic of needs. As I wonder whether I should go to Whole Foods or Central Market for my family’s main course, thousands of families don’t even know when they will eat next. Here is what I know about parents: most of them want the best for their kids, and will put their kids’ needs ahead of their own needs. They want their kids to be safe, and to have food, and to have opportunity. And here’s what I know about humans: if they don’t have food, they are not looking past that hunger to care about their future health or education. They are in survival mode until they feel safe that they know where their next meal will come from. The North Texas Food Bank serves as an essential bridge between these different parts of our community. The impact that a few hours of service or a donation of even a few dollars can make is staggering, and the new facility makes it even easier to be a part of this link. Thank you to each of you that joined us this year to support our neighbors in need. If you couldn’t make it, please consider volunteering on your own schedule, contributing in your own way, or making a financial contribution to NTFB on North Texas Giving Day, where the impact of your donation can earn a matching donation.